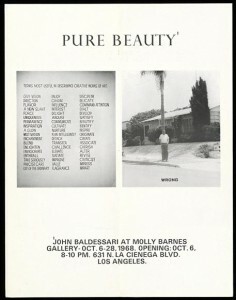 John Baldessari emerged as a major figure of West Coast conceptualism in the 1960s. 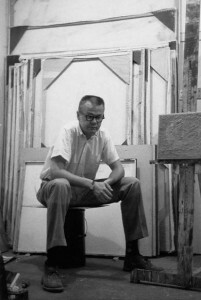 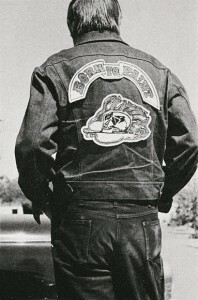 That his earliest paintings displayed elements of Pop Art—often considered anathema to conceptual art—indicates an important inflection of L.A. conceptual art, which remained tied to objects and paintings, even as it simultaneously questioned their status. 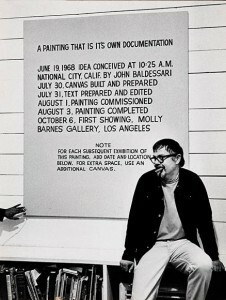 John Baldessari’s canvases of the late 1960s were stretched and primed by someone else, and their words were lettered by a sign painter he had hired. 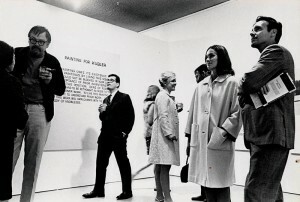 This removal of the artist’s hand—an important conceptual art characteristic—is even starker in the word-only paintings such as Quality Material. 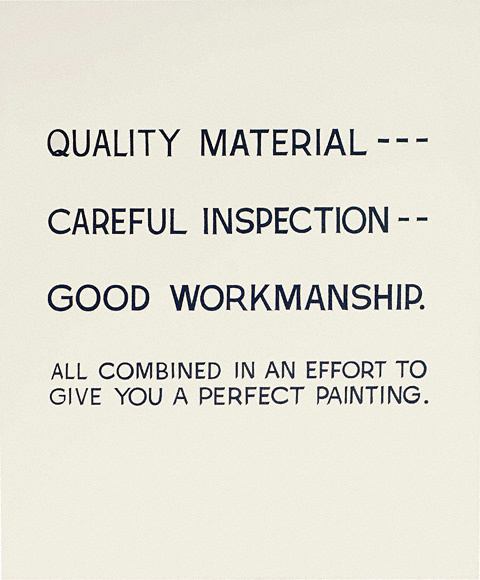 Part of a series of paintings featuring text from art history books and instructional guides, these works unmask the insularity of art criticism as well as the arid nature of didactic texts.